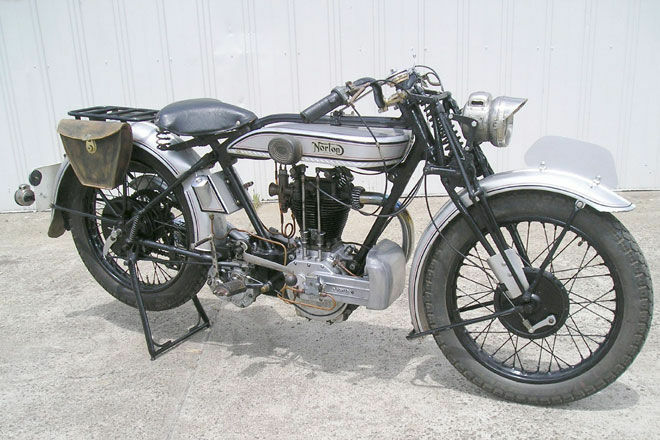 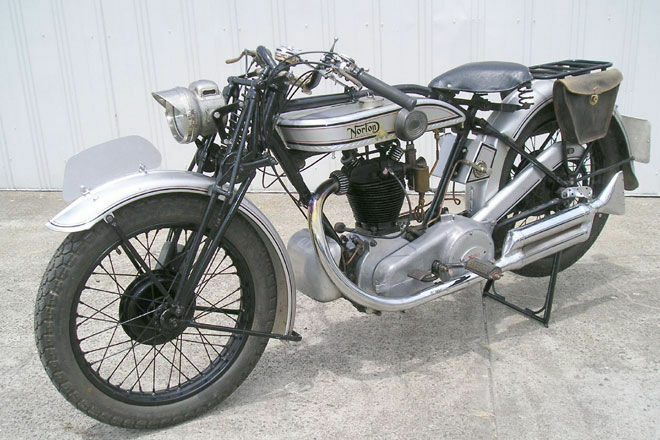 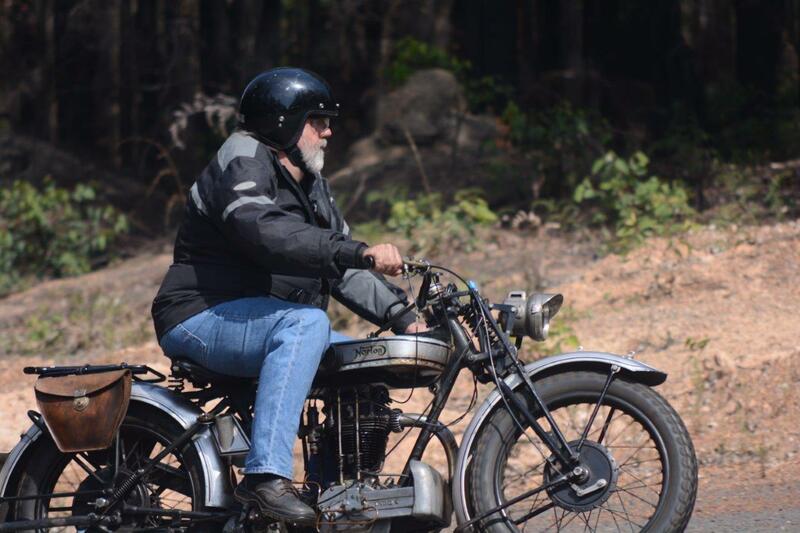 -JdK- Kelvin in Australia sent us these pics of his c1926 Model 18 Norton. Not completely original, the guards may be Ariel, the primary is from a later model, not sure what happened to the oil tank but ... he uses his bike. 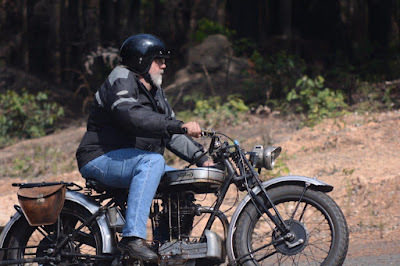 Kelvin informs us "... the tank has split again, the valve gear is worn out again and it it time to do some significant work, still flat tank Nortons are the most fun you can have with your trousers on...". Note the strutted forks.